Good evening everyone! I hope you are all having a wonderful Monday. 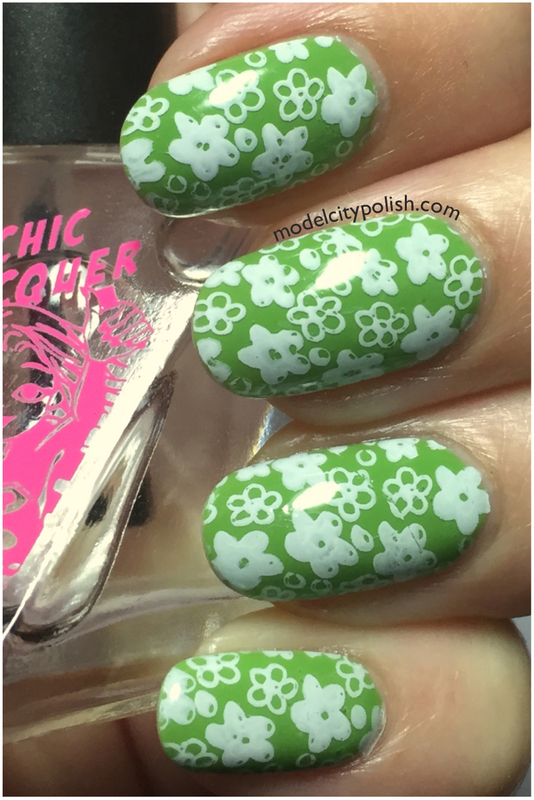 It has been a dreary, rainy day here but thanks to my spring blossom mani, things were looking positive. 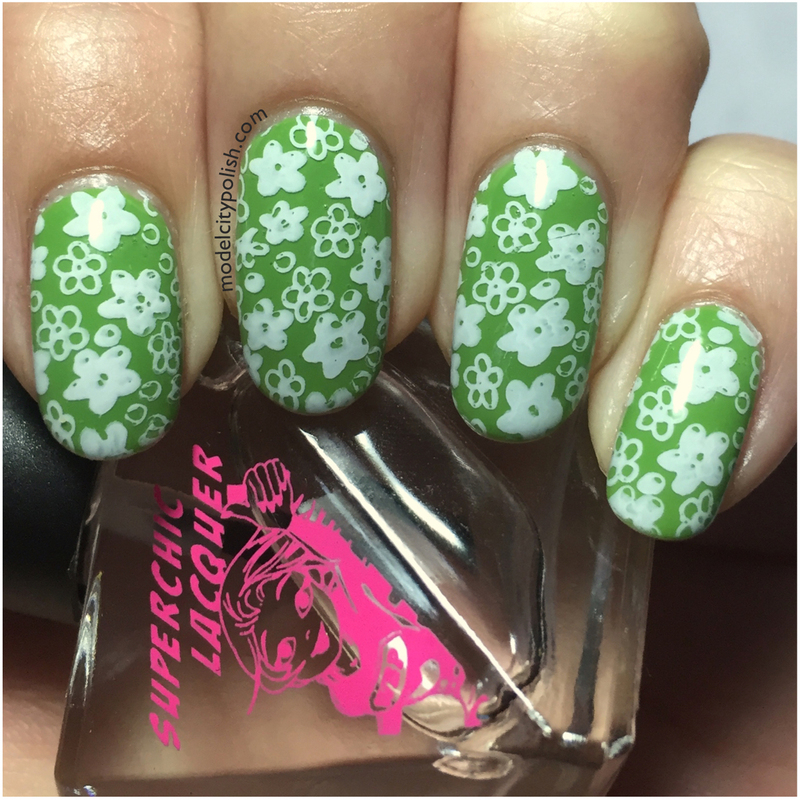 This past weekend I had the great pleasure of attending my first Pyrex swap meet so naturally I had to do some themed nails! 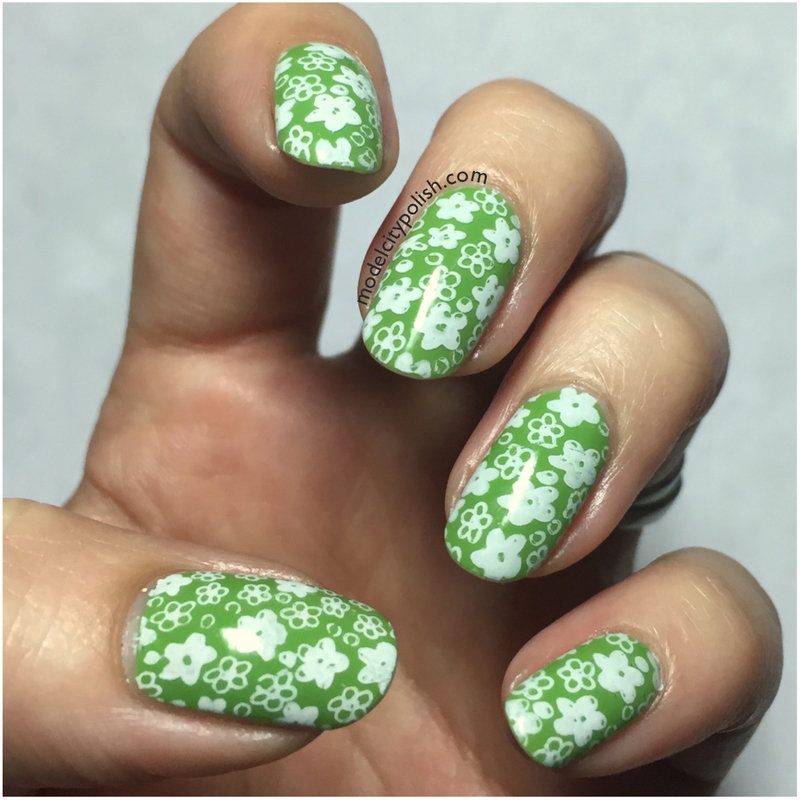 For my Spring Blossom manicure I started with three coats of China Glaze Gaga for Green. 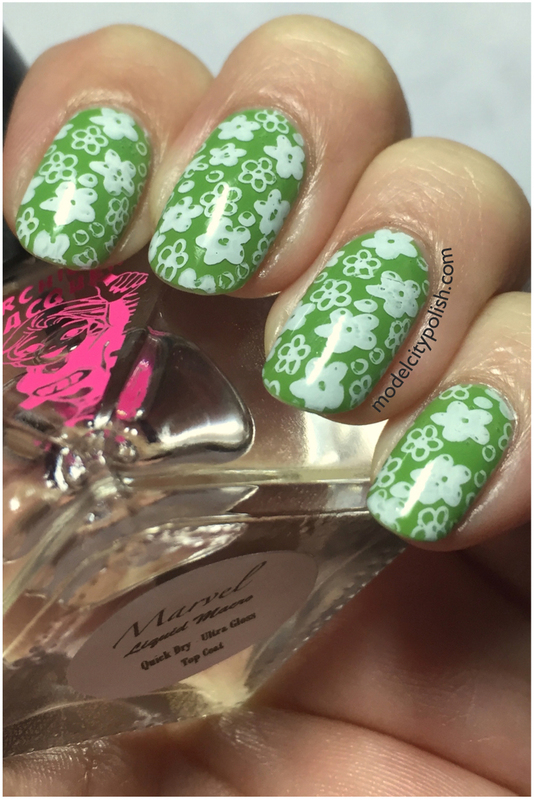 I then used Vivid Lacquer plate VL030 and Moon Supply Nails white stamping polish. I sealed everything with a coat of SuperChic Lacquer Liquid Macro Top Coat.